Video is a powerful medium for sharing stories about people, their work and their communities - whether the goal is to celebrate key milestones, raise funds for a cause, or educate and inform. View a few samples below. The U.S. EPA’s national Brownfields Program transforms contaminated or blighted areas into economically, environmentally and socially vibrant communities. Celebrating the 20th anniversary of Brownfields, this video was shot on location in Cleveland, Ohio (the birthplace of Brownfields); Lowell, Massachusetts; and Washington, DC. It brings to life the work that revitalized dilapidated old factory buildings, weedy industrial parks, abandoned lots and polluted waterways – transforming them into thriving modern-day business corridors, entrepreneurial ventures, recreational venues and nature preserves. The video was shown at the National Brownfields Conference in Chicago in September 2015. Created in partnership with Appaloosa Productions. In Idaho's Coeur d'Alene region, historic mining practices have caused over 100 million tons of contaminated materials (lead, silver, zinc) to be distributed over thousands of acres in the river basin. Every single year, 300 hundred tons of lead that have built up at the bottom of riverbeds still float downstream into Lake Coeur d'Alene. The people's health, as well as the landscape and wildlife, have suffered as a result. The EPA worked with the community to clean up parts of the river basin – reducing blood lead levels in humans, making the area greener again, and bringing tundra swans back to the basin. This video demonstrates how engaging the community is an essential part of a successful cleanup effort. Created in partnership with Appaloosa Productions. "The world is a book, and those who do not travel read only one page." Travel opens up myriad opportunities for students in the Denver Center for International Studies program - exposing them to new cultures, new languages, new relationships - and forming a new understanding of the world and their place in it. Here are the stories of five young students whose lives have been transformed by travel. Created in partnership with Appaloosa Productions. Write Our World envisions a world in which every child’s story matters. The nonprofit empowers multilingual youth worldwide to embrace their languages and cultures while building skills for their future through ebook authoring. This is the Write Our World story in 3 minutes. Created in partnership with Bitesize Productions. Military veterans are challenged in their transition to the civilian workforce upon exiting the service. What many of these men and women share is a desire to find meaning in their new career path – while continuing to serve their country. 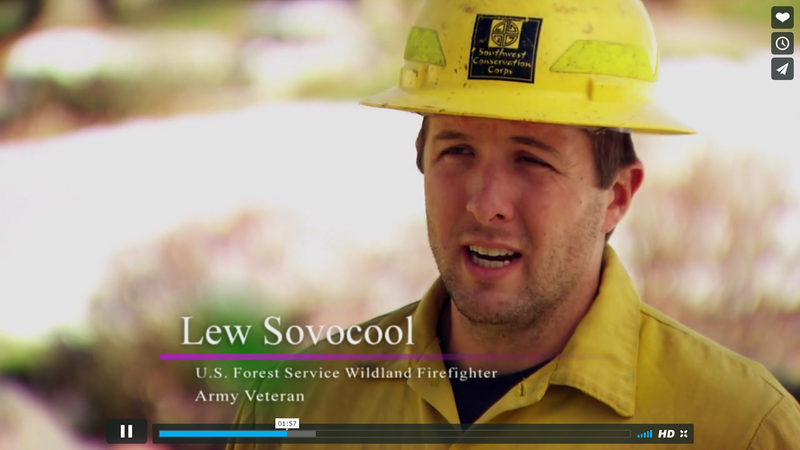 This video highlights the catharsis created for veterans through training and employment opportunities in the green economic sector, including energy efficiency, renewable energy, wildland firefighting and land conservation, and how these pathways have helped former service men and women find fulfillment in the civilian workforce. Created in partnership with Appaloosa Productions. This documentary was inspired by a video about Denver's Harkness Heights neighborhood that was produced by neighbor Mary Miller in 1994. Developed in 1903, Harkness Heights is treasured by the neighbors who inhabit this small corner of north Denver, and this video celebrates the deep history, culture and architecture that make Harkness Heights so unique. Invaluable oral history excerpts from Mary Miller's video have been included here for a richer, more historical look at the neighborhood. Created by Michael Drumm, Linda Lidov, Reed Weimer and Brian Spindle. Copyright: Harkness Heights Neighborhood Association. MaxFund is a true no-kill animal shelter and adoption center that challenges the traditional methods of animal sheltering by leading the no-kill movement in Colorado. It strives to give animals, including the injured, abandoned and abused, a “second chance at life.” Telling the story of MaxFund’s evolution and celebrating the work it does on behalf of Colorado’s animals, this video was shown at the nonprofit’s annual “Puttin’ on the Ritz” black-tie fundraiser held at the Brown Palace in Denver. Created in partnership with Appaloosa Productions.